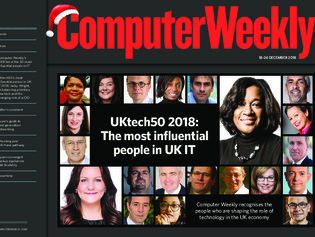 In this week’s Computer Weekly, we reveal our annual UKtech50 list of the most influential people in UK IT. We talk to this year’s winner, HM Revenue & Customs chief digital and information officer Jacky Wright about the challenges of government IT during Brexit and the changing role of the CIO. And we examine the issues around upgrading SAP’s ERP system to S/4 Hana. Read the issue now.